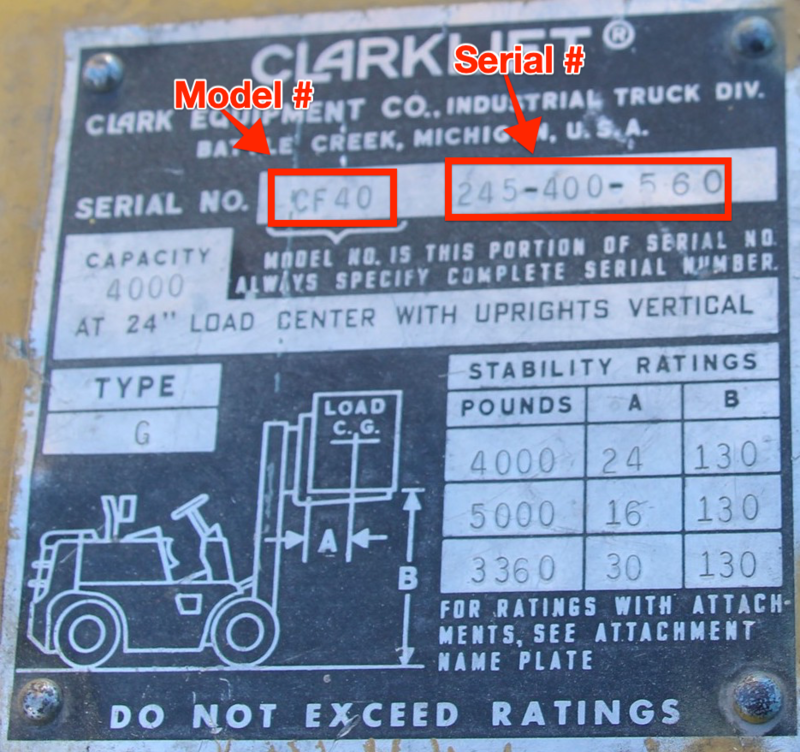 Where do I find the Make, Model, and Serial# of my equipment? 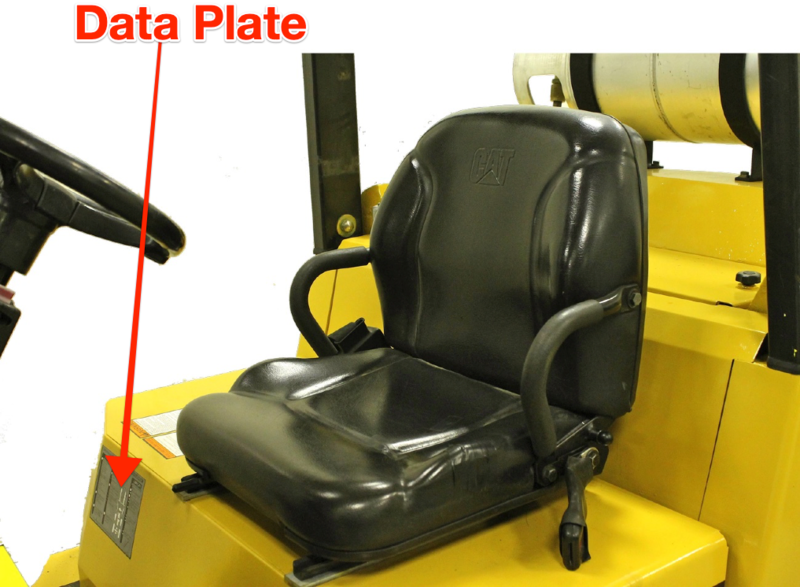 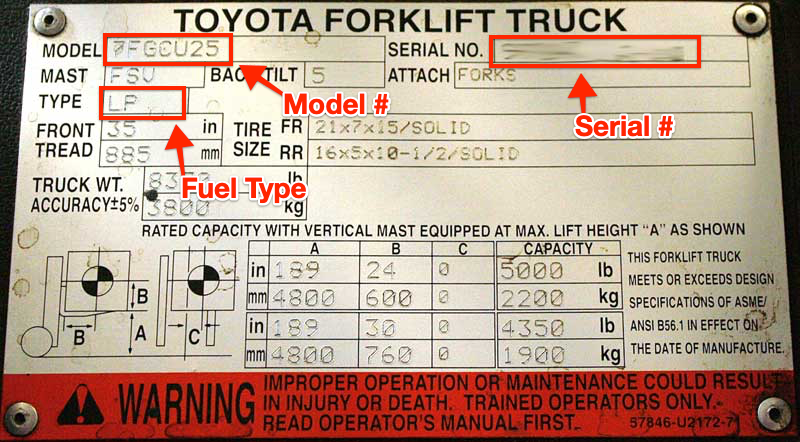 There should be a data plate on the driver’s somewhere near the operator's compartment of your truck. 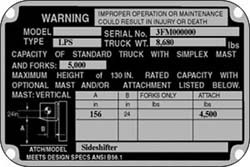 The plate will include the model and serial number, as well as capacity and other miscellaneous information. 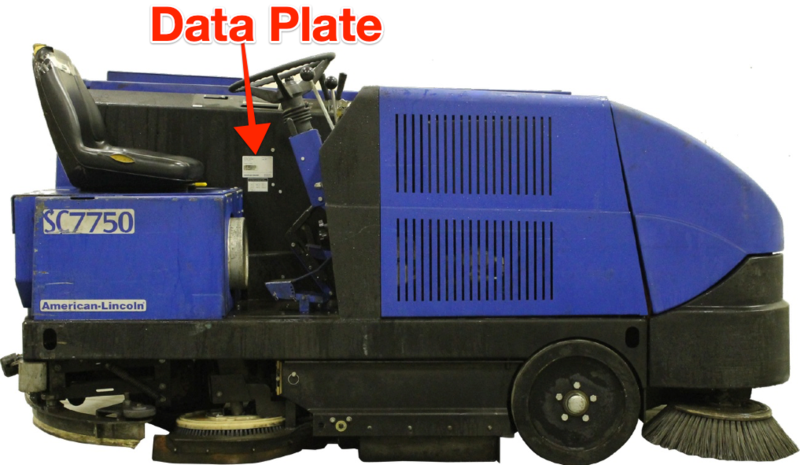 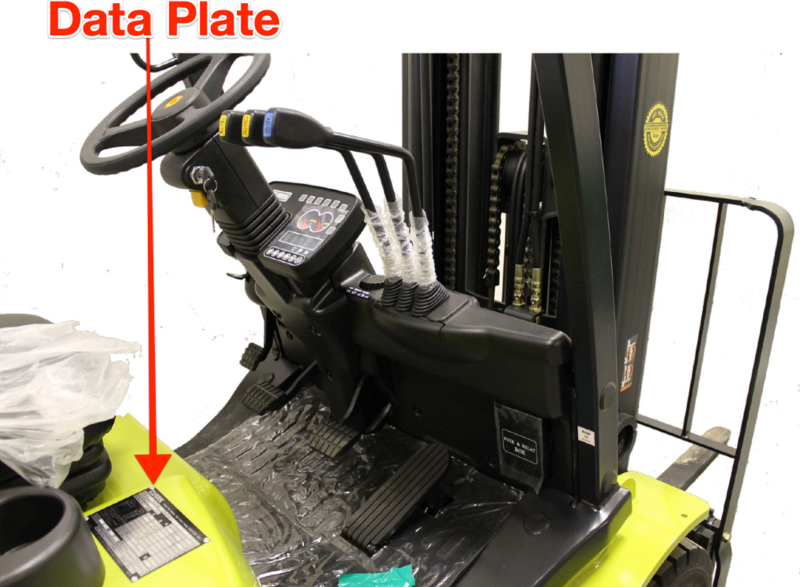 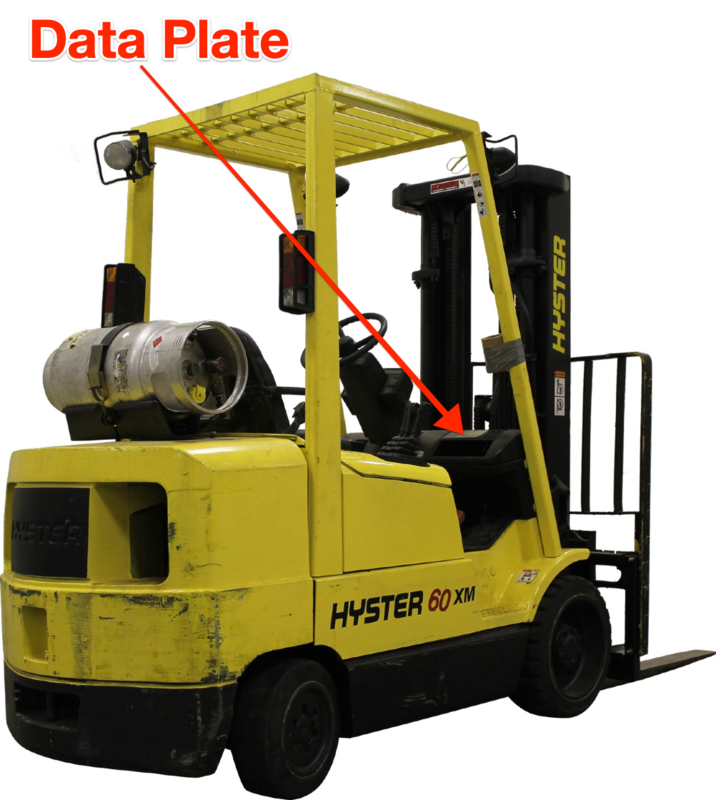 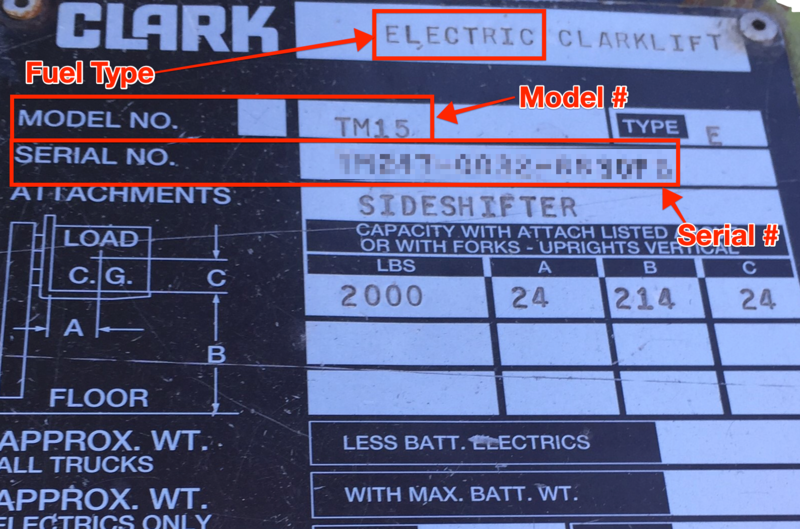 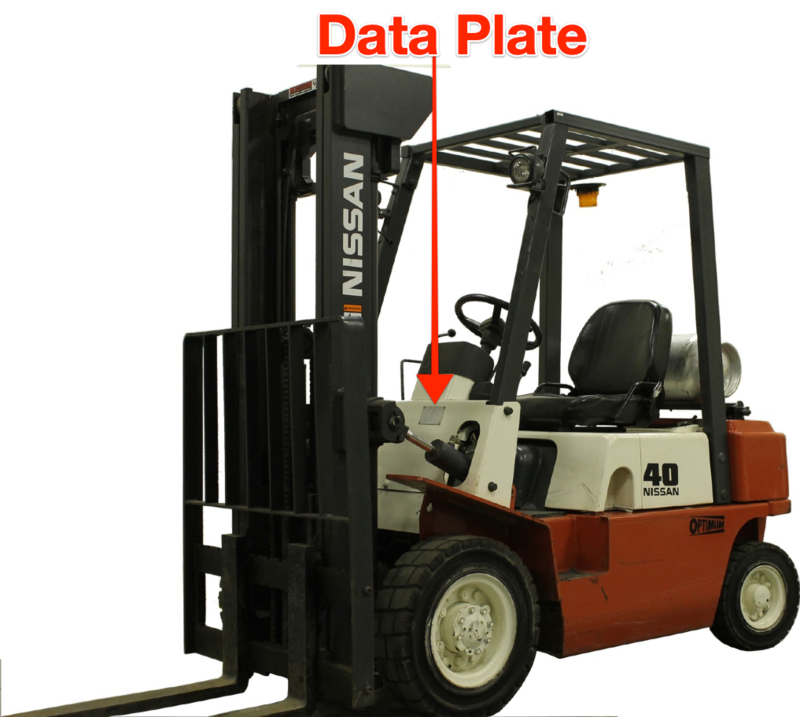 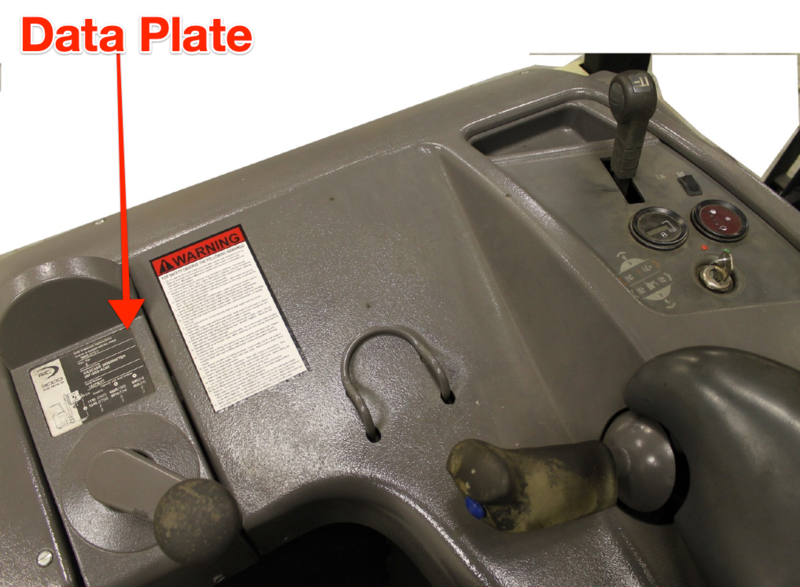 If there is any confusion about what information you are looking for on the data plate, you can also attach a picture of the plate and our parts research team will determine the relevant information.